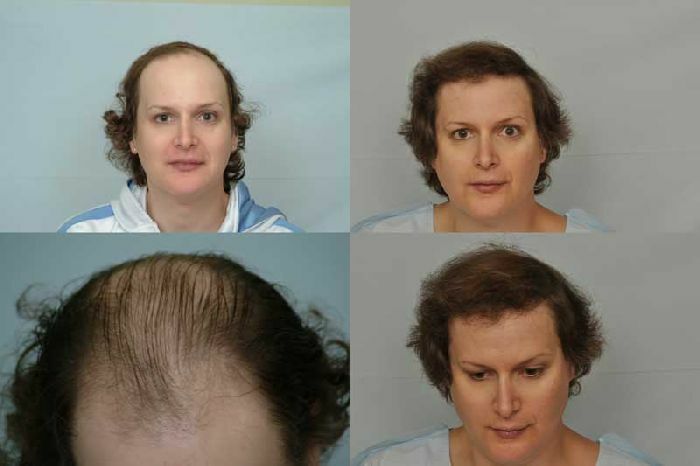 Are you sure that the pic of the receding man in a Norwood 4 typical male pattern is a trans man? 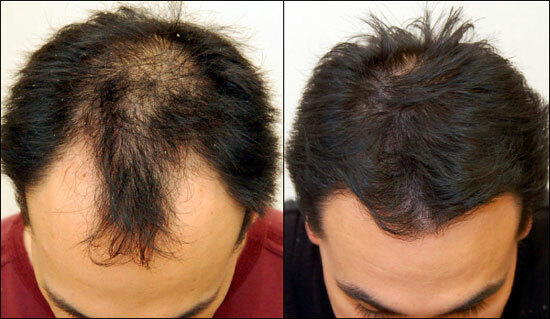 I know for example that women tend to thin more when less T is converted into estrogens or have excess T, and the consequent conversion in Dht which causes the hair loss, but usually they thin in ludwig diffuse pattern, yet the mechanism is the same of male pattern hairloss, this same uniform diffuse pattern happens also in some males although much faster in pace, due to higher levels. Also does T induce bone growth in all trans men (especially in regard to cranium) I’m making a research over thinning hair and want to confront this data, with the ratio of trans men diffuse thinning vs those getting the receding typical male pattern, or simply very zoned crown thinning, also more common in males and more or less absent in female hair loss. Yes, it is a trans male and the Type 4 Hamilton pattern can happen (that was the pattern I have personally experienced.